What happens if Xi Jinping wants to stay in power indefinitely? It must be said loud and clear up front that the People’s Republic of China under the Communist Party is no Third Reich. But the operations of propaganda, persuasion, and power are often generic across systems, however different they are. Moving people from neutrality to addiction has always been on the minds of the persuaders in Beijing. And it raises some uncomfortable questions about the sort of power behavior we are now seeing from China’s key leaders. Broadly, one could argue that the social contract during the late Jiang era and throughout the Hu years in China allowed people to be neutral toward the Party and government as long as they did not actively oppose it. In 1995, I remember a student member of the Communist Youth League in Inner Mongolia (where I lived then) telling me that disagreeing and dissenting from the regime in power was fine, as long as you did nothing about it. Carrying on your life, making money, doing business — all these new spaces of activity had opened up under reform. Exploring those options and pursuing economic prosperity while steering clear of politics was permissible. The problem with this compact, however, was the remarkable rise of cynicism and contention that China saw socially beginning from the early 2000s. Mass incidents and general social fractiousness rose. In 2013, the budget on internal security stood at a colossal $111 billion, five billion more than the national defense budget. The sort of cynicism and values deficit testified to by writers like Nobel Prize Laureate Liu Xiaobo led to a society that academic Yu Jianrong described as dominated by “pent-up rage.” People might not have been outright opponents of the regime, but nor were they benignly neutral. China became what one book in 2009 famously described as an “unhappy” place, despite all the new material wealth. For all sorts of reasons, dealing with people’s lack of love of the Party and government would garner rich rewards for a new leader like Xi Jinping. Having just a bit more emotional support from “the people” makes the regime and its leaders more secure, and their lives easier. Eroding the colossal internal security budget is one tangible effect, but there are plenty of others. This must be part of the thinking behind promoting the anti-corruption campaign, which, while it has become a thing of fear and horror for many officials, remains popular on the street. The same goes for the assertive stance against neighbors like Japan and Vietnam. While diplomatically causing collateral, once again it is popular on amongst Chinese. Chinese people, to my knowledge, have never protested against their leaders for being too rough on Japan – precisely the opposite, in fact. Xi has deployed popular sentiment well. Whether he has made anyone “addicted” the Party is another matter, but he has managed to persuade a reasonable number to be warmer about the Party and its function and mission than they were under Hu. Perhaps there was simply no choice for Xi. Cynicism and disengagement along the lines seen in the late Hu era were in danger of leading China into Brezhnev-era levels of stagnation and alienation. It was simply unsustainable. For the Party, however, and indeed for the world outside China, there is a real danger here. Despite all the rhetoric in the early 2000s of the Party being engaged in sorting out its own internal governance and setting up stronger institutions within itself (this was called intra-Party democracy, for those who can remember), even three years of Xi’s populist style has proved that the space for charismatic leadership in Chinese politics is surprisingly large, and the ability of the Party institutionally to handle an increasingly centralizing, powerful leader is worryingly weak. Here is one perfectly feasible scenario. In five years time, in 2021, Xi presides over a richer, stronger country where many of the reforms he has placed his name to have succeeded. Rule by law is implemented, the Party is cleaned up, growth is stable, property rights for the middle class in cities are sound, the natural environment is good, and life is rosy. Xi is a strong, popular leader with a direct link to the public. Despite the current constitutional limits, in our hypothetical scenario there is no reason politically for Xi to “lobby” the public for the chance to continue in his role. After all, as in democracies, why risk change when things are good now, and everyone knows constitutions can be rewritten – look at Russia’s Putin! If most people associate the good things with Xi rather than his party, his possible “retirement” in 2022-3 becomes, in fact, something deeply unpopular. What red-blooded politician (and Xi has shown all the signs of being such a politician) could truly resist the temptation to stay in this context? 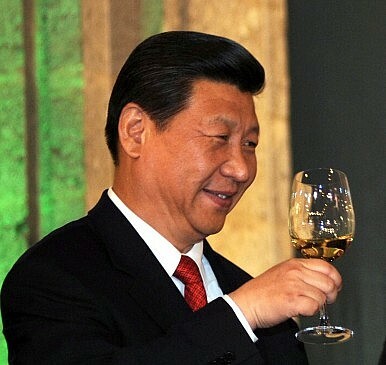 Xi at the moment probably regards himself, and is regarded, as a sincere and faithful servant of the Party. But power changes people. And in five years’ time, he could well be different. So the question is a very simple one. Despite all the suffering of the Mao years, and all the lessons learned about having a system centered on a single person, does the Communist Party of China in 2015 really have the internal and institutional structures to militate against Xi’s populist leadership continuing beyond 2022 and becoming a new imperium? It is looking worryingly like the answer to that question might well be no – which is bad news not just for the Chinese people, but for the world at large.